This project consisted of a major expansion and renovation to the Emergency Department that had not been renovated in over 35 years. The project also included the creation of a new Main Entrance drop-off canopy and Public Lobby. As part of the Main Entrance, a new 200-space parking lot was added by removing several adjacent vacant buildings. A new entrance drive was constructed connecting directly to US Highway 71. This allowed for the hospital to have an increased, highly visible public presence along a heavily traveled highway route. 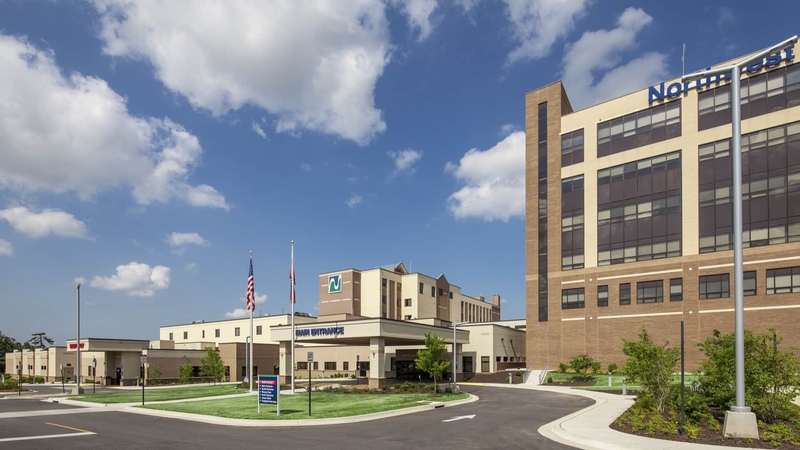 The new building expansion added approximately 20,000 square feet with an additional 8,200 square feet of renovation work primarily in the Emergency Department. A two-phase expansion of the Emergency Department increasing capacity from 16 exam rooms to 28 exam rooms including 2 major exam rooms and 1 trauma room. Three dedicated Admitting Services bays are incorporated into the Emergency Department waiting room. The new Main Entrance and Public Lobby were designed to give the hospital a welcoming new face for both visitors and patients. The new addition complements the existing building’s architecture while adding new public entrances and additional exterior lighting features. The new Public Lobby incorporates a two-story atrium space with clerestory windows providing filtered natural light. This lobby also directs visitors into the center of the hospital allowing for easier navigation to either of the hospital’s patient towers along with the cafeteria which is located adjacent to the new lobby space.